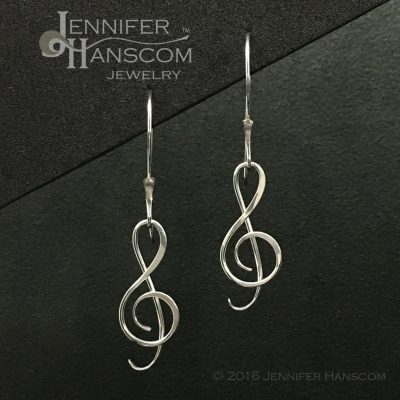 Add some swing in your life – or at least to your ears. 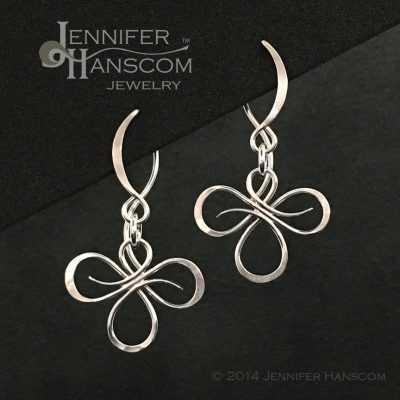 These quad-flourish links dangle freely, catching the light and glimmering as you move. With this fun and fresh feeling, you can’t help but to flourish in all of your aspirations. Impart this feeling of vitality into the world around you as the intention behind the Ripple Collection inspires. 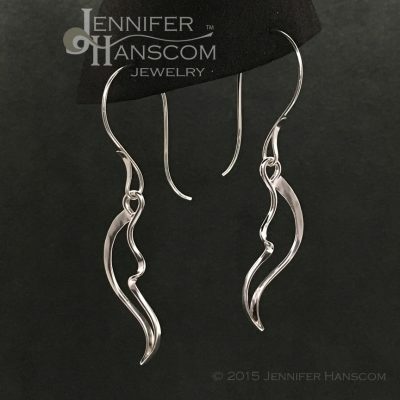 The sinuous line of the forged ripple ear wires hugs close to your lobe providing interest without loft. The squared design of the actual ear hook secures the petite yet interesting form in place. This structure, with the small ear wire suspending the fluttering link, complements a diamond or heart shaped face and/or a short pixie style haircut. 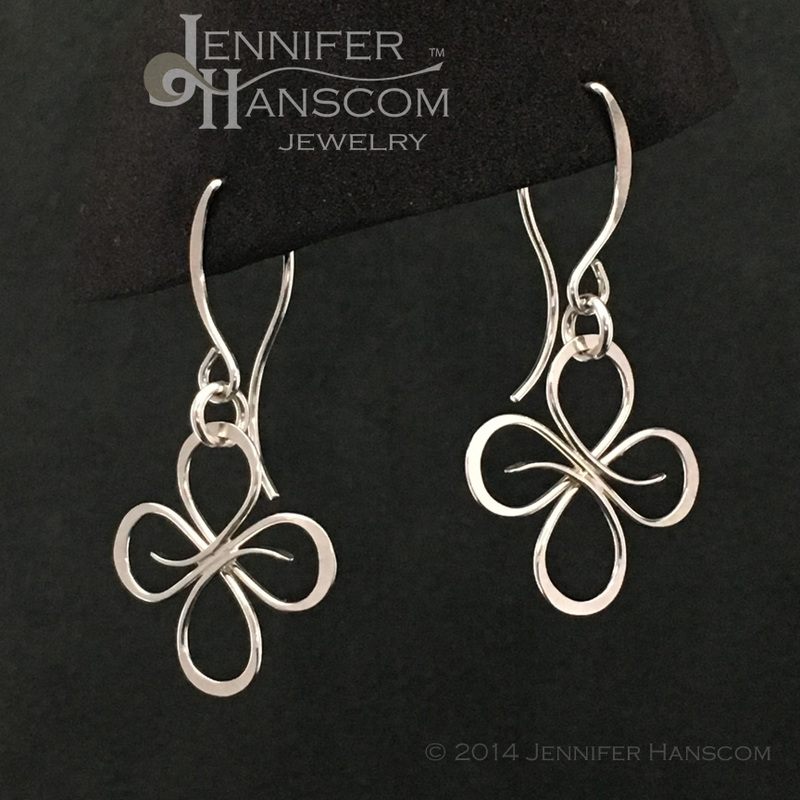 A small intention card comes in the elegant pinstriped gift box along with your earrings, so you are continually reminded of the mindset you are seeking. 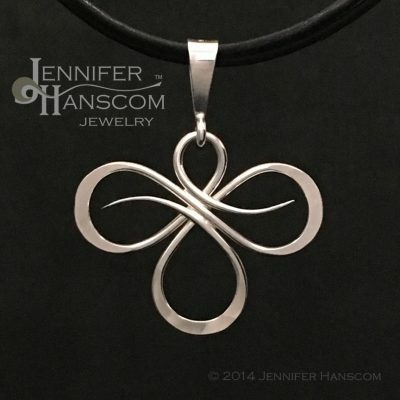 In this case you will receive cards for both the Flourish and Ripple. 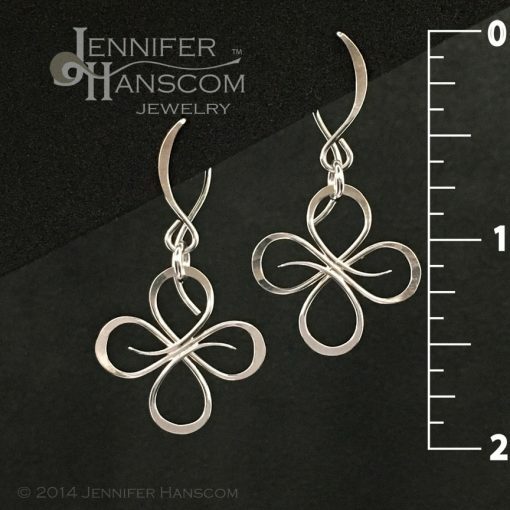 A small bag with an interceptor tab is included, as a means to store your earrings and keep them shining longer. A polishing cloth is great for regular spruce-ups.